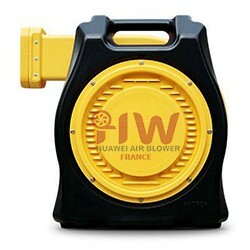 Price palet : from 120,00 € excl tax / unit(24 Air Blowers) From 24 units, contact us at contact@huawei-france.com Power : 950 WattsDiameter : 43 cm with velcro male on the circumferenceSize (lxLxh) : 53x48x33 cmTension : 230V - 50HzWeight : 13 kg Vertical Air Blower 950 watts for air dancer 6 meters, very light and powerful. 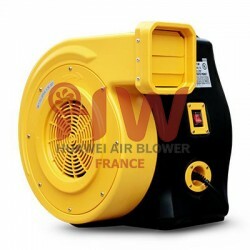 Price palet : from 130,00 € excl tax / unit(24 Air Blowers) from 24 units, contact us at contact@huawei-france.com Power : 1100 WattsDiameter : 43 cm with velcro male on the circumferenceSize (lxLxh) : 53x48x33 cmTension : 230V - 50HzWeight : 15.5 kg Vertical Air Blower 1100 watts for air dancer from 8 meters, very light and powerful. Deflate your inflatable structures with our double cone deflator. 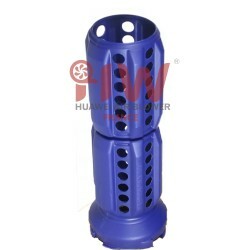 Suitable to structures equiped with muffs. 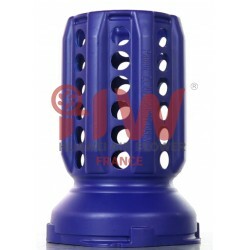 This cone is compatible with all REH blower models (except QW750W, SW3E, REH 3E). Deflate your inflatable structures with our deflator cone.With this easy-to-use accessory, you'll save time deflating and storing your structures. 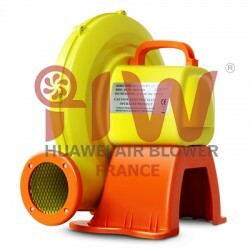 Deflates faster and improves handling of your inflatable with tighter rolls.This cone is compatible with all REH blower models.